The story behind Bob Dylan's "Knockin' on Heaven's Door"
Knockin' on Heaven's Door by Bob Dylan is one of the greatest soundtracks of our lives. The iconic song has been covered by countless musicians, including Eric Clapton, GN'R, Roger Waters and many contemporary artists. 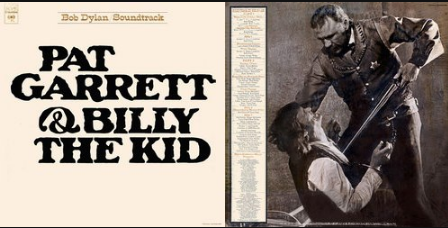 Film screenwriter, Rudy Wurlitzer was acquainted with Dylan and had asked him to compose a couple songs for the Western movie Pat Garrett and Billy The Kid (1973). The track was recorded in February 1973 in Burbank Studios, California. There are several versions of the song. One rendition was influenced by Sam Peckinpah, who desired an instrumental track, which Dylan agrees with. Another version had vocal tracks added to it, a sung and orchestrated version was created for the movie soundtrack and lastly, a different version was used for a single. "He [Dylan] lived over in Paradise Cove and I lived on Winding Way in Malibu. I bought Lana Turner's old house and I'm not sure where he lived, but he had a house just across the road there and he would come over and pick up my guitar and work on songs and stuff. They were working on the movie with Jason Robards late one night, and for some reason [Dylan] just called me up and asked me to come over to the studio and to play on the song, and I played bass on it." Although the bass playing was credited to Terry Paul, Booker T. is credited on four different songs from the same soundtrack. Other personnel on "Knockin' on Heaven's Door" are Bob Dylan on guitar and vocals, Roger McGuinn on guitar, Jim Keltner on drums, Carl Fortina on harmonium, Gary Foster on flute and Brenda Patterson, Carol Hunter & Donna Weiss on backup vocals. If you have seen Pat Garrett and Billy The Kid, the song plays when Sheriff Colin Baker, an ally of Pat, is seriously wounded in a shootout with Billy the Kid and his gang. The Sherriff and his wife are shown by a riverside, preparing themselves for his death, which was not shown onscreen. The soundtrack album cover, designed by John Van Hamersveld, features a traditionally styled font against a white background in sepia-tone. The back cover sports a scene from the movie where Billy the Kid is on his knees while Pat is pointing a gun at his chest. In October 2007, 1730 guitarists came together to Shillong, India, to strum "Knockin' on Heaven's Door" for five minutes, setting a world record for the largest ever guitar ensemble. As mentioned at the beginning, the song has been covered over a dozen times. One memorable cover was done by Guns N' Roses, who covered the song on Use Your Illusion II 1991 album. The band also performed the song live in 1992 at the tribute concert for Freddie Mercury, who has recently passed away from AIDS. The concert was held at Wembley Stadium, London, with over 72,000 attendees. A special version of the song was recorded by Ted Christopher, a Scottish musician, who recorded a cover with a new verse added and had children from Dunblane singing the chorus. Christopher intended to commemorate the schoolchildren and teacher who were killed in the Dunblane massacre. His cover had reached number one in the UK Singles charts and Scottish Singles Chart that year in 1996. All proceeds went to charities for children. Another version of the track was recorded by Warren Zevon for his 2003 album The Wind. He was suffering from lung cancer when he recorded the song and had died shortly after the album release. Knockin' on Heaven's Door also has a fair share of reggae covers by artists like Eric Clapton, Arthur Louis and G.T. Moore & The Reggae Guitars.